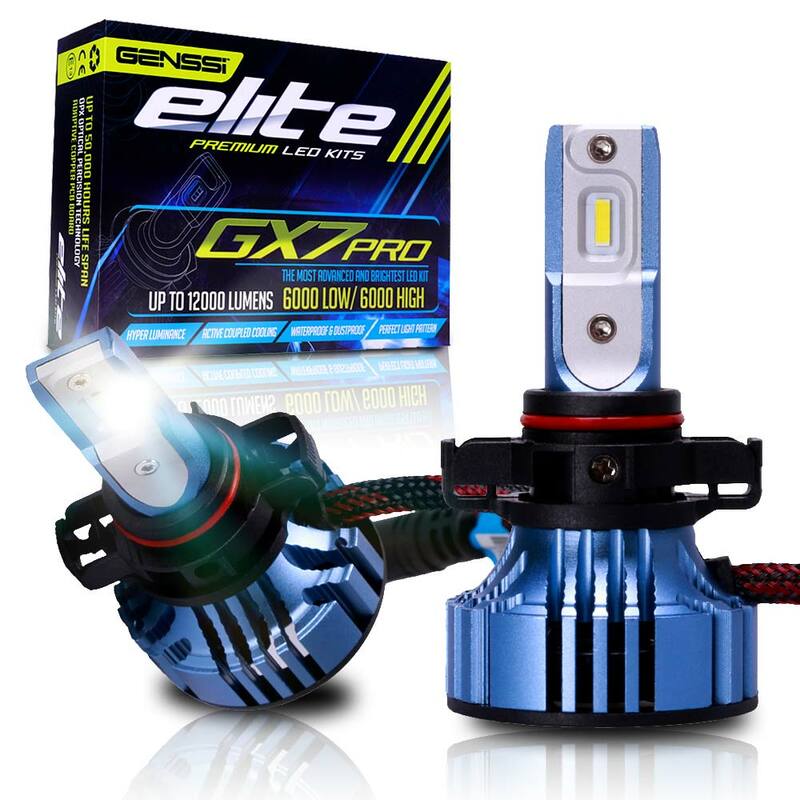 GENSSI GX7 PRO marks a significant step forward from the previous LED Kits in terms of both design and component selection. 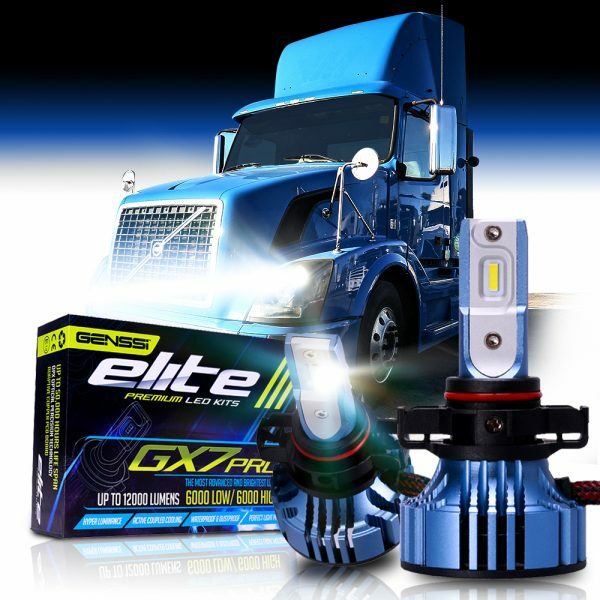 Up to 30% brighter than our already bright G7 kit.Designed from the ground up to be the most technologically advanced and durable LED kit on the market. An uncompromising mission, deliver the best light possible in a factory headlight on the road! Please make sure your headlamp look like the main image. Some trucks may have different shape lamps. 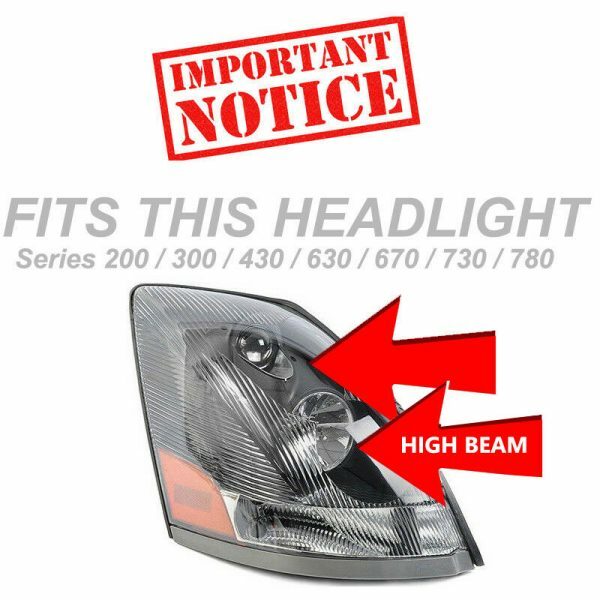 This replaces only the high beam. See our other listing for low beam. 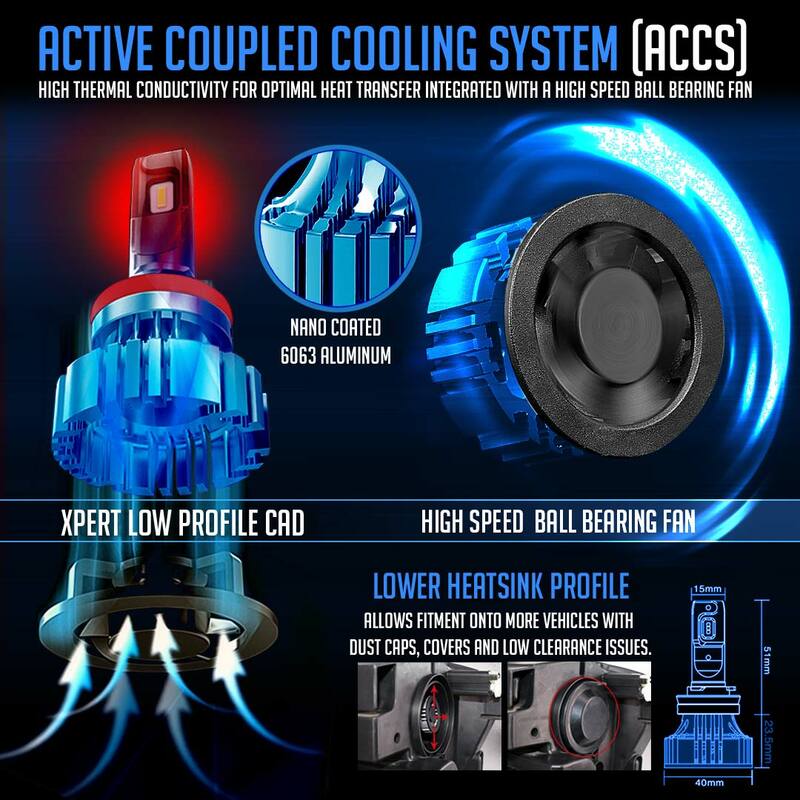 Strong penetrating beam pattern up to 50% more bright than competitor kits. 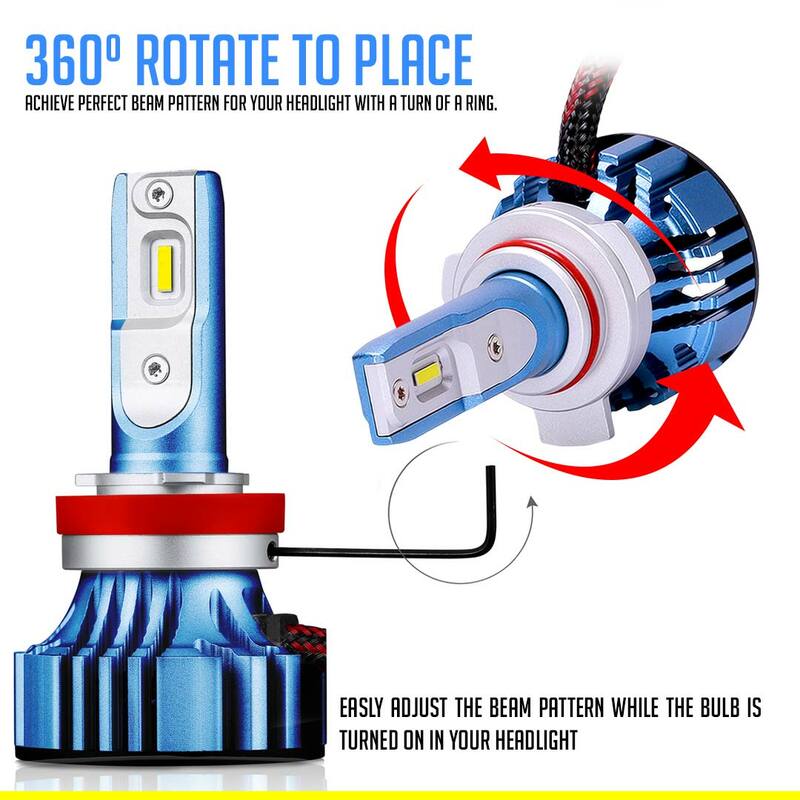 Up to 6x more light than halogen bulbs. 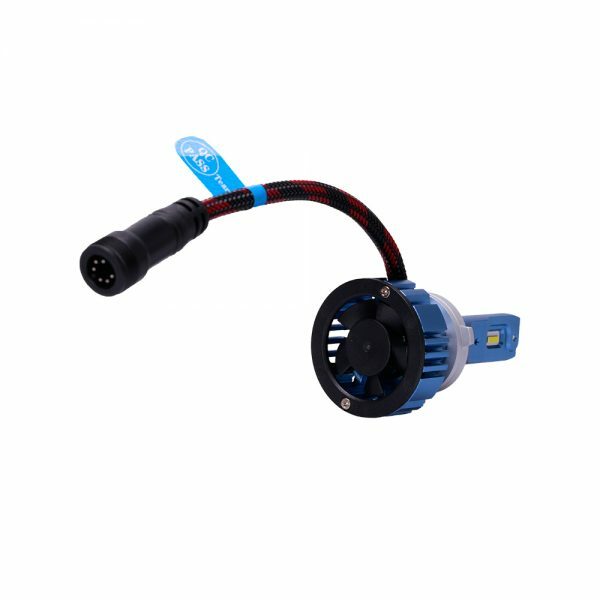 Authentic CREE XD Class LED chips ensure longer life, more clarity and uniformity as well as range up to 150M. Up to 45% more life than other kits. 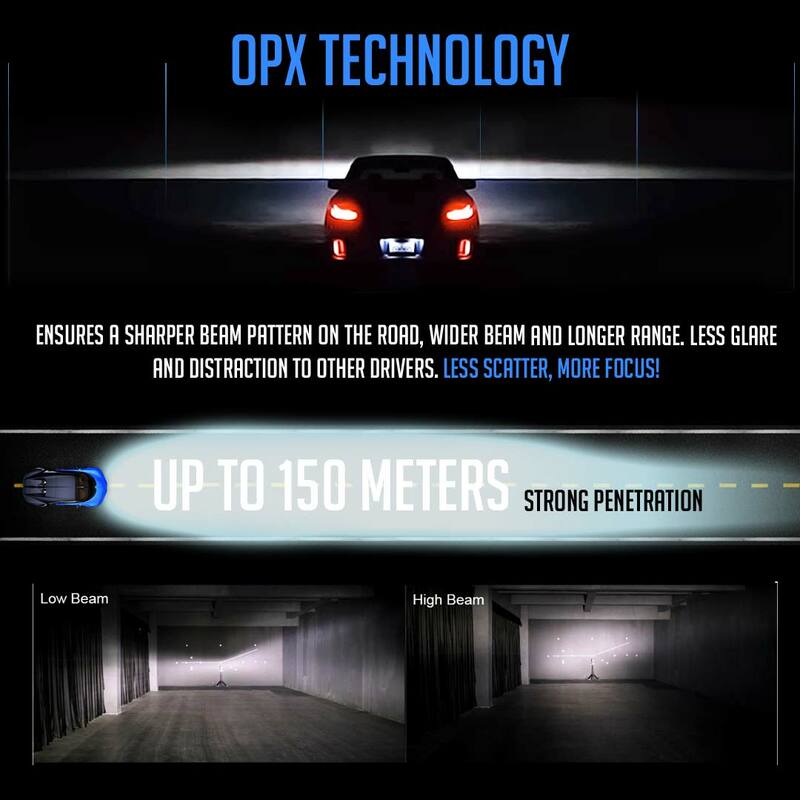 OPX technology ensures a sharper beam pattern on the road, wider beam and longer range. Less glare and distraction to other drivers. Less scatter, more focus! Copper has up to 5 times higher conductivity coefficient than other metals. Custom Copper leadframe conducts heat away from the LED. Transfer of heat to the heatsink increase LED lifetime decay. LUX BEAM Technology Strong penetrating beam pattern up to 50% more bright than competitor kits. 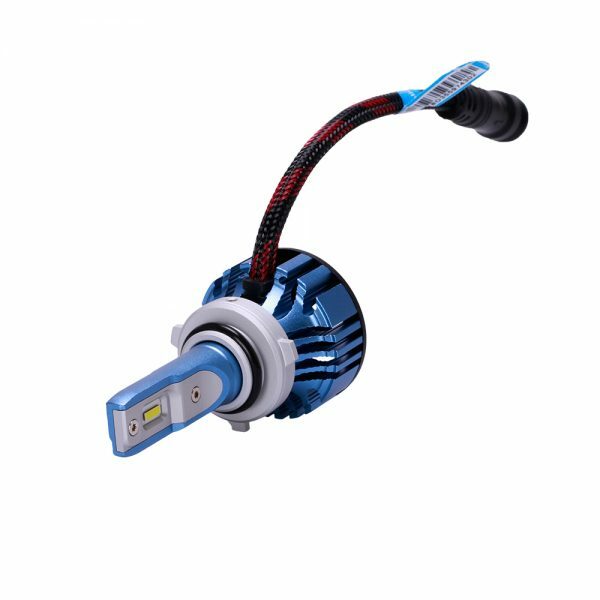 Up to 6x more light than halogen bulbs. 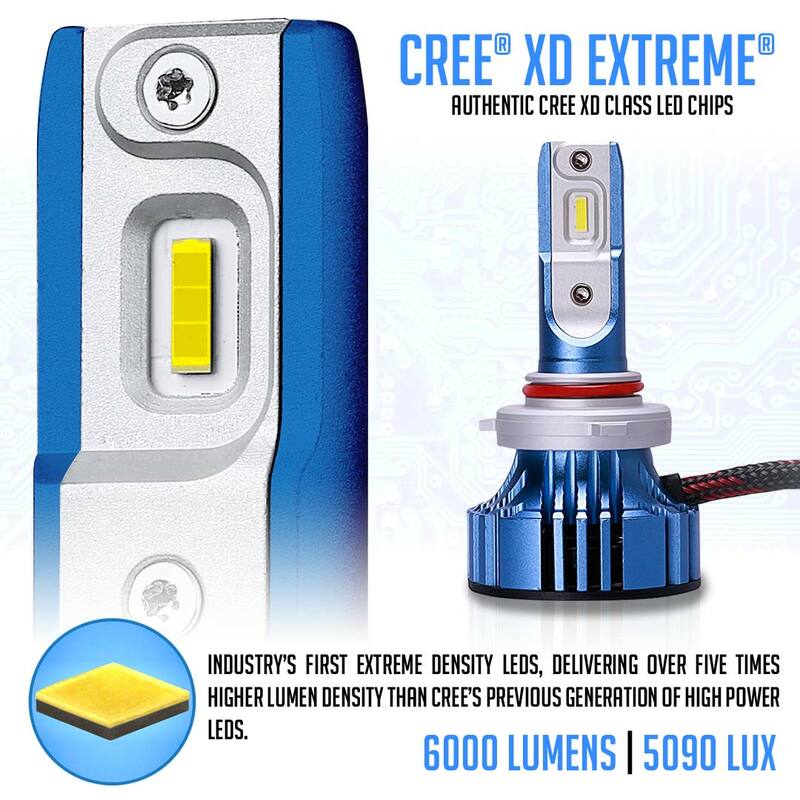 CREE XD Extreme Authentic CREE XD Class LED chips ensure longer life, more clarity and uniformity as well as range up to 150M. Up to 45% more life than other kits. 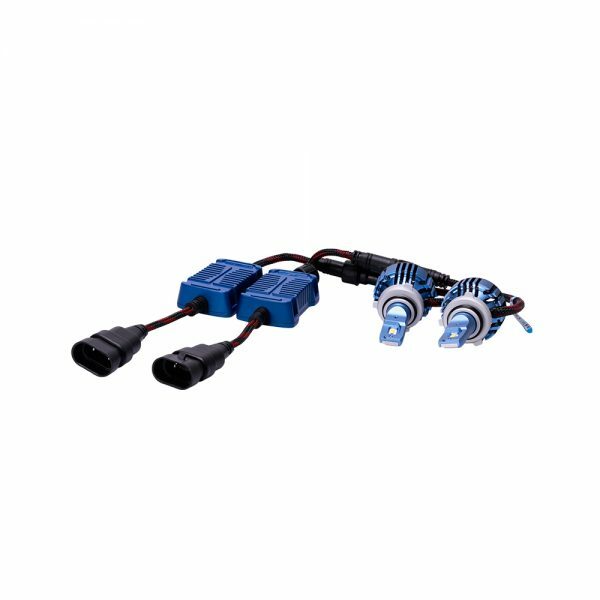 Heatsink Design Xpert Low profile CAD – Lower heatsink profile of 23.5mm and 40mm width allows fitment onto more vehicles with dust caps, covers and low clearance issues. 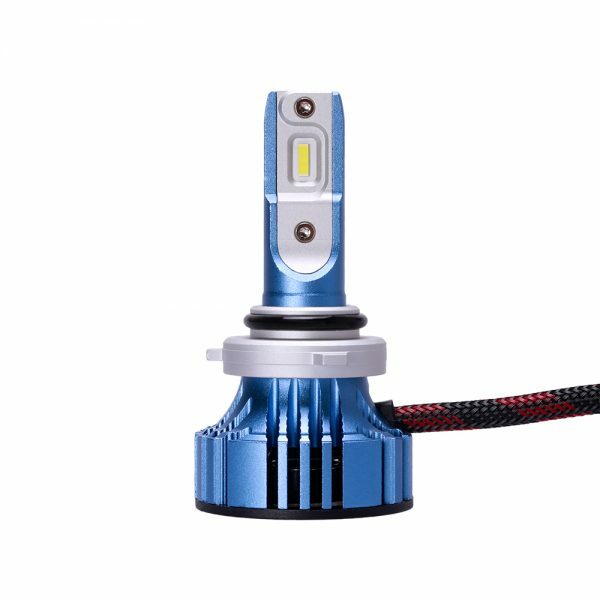 Fast Start The new and revolutionary design in LED technology provides every driver the benefit of your headlights being ready to go when you are with a highly noticeable difference in instant brightness compared to Halogen, HID and conventional bulbs. 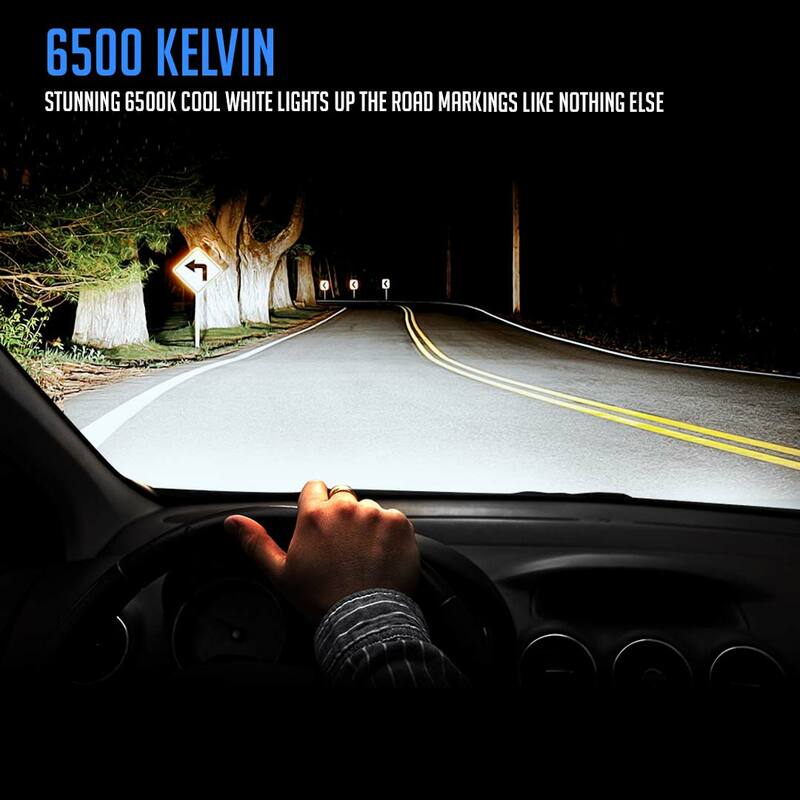 Increased visibility and clarity A greater field of vision for night driving with the sight sensitive cool white bulbs producing an increased illuminating distance on the road.